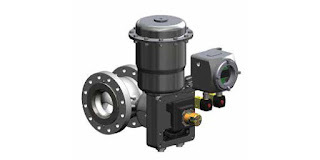 The manufacturers of valves and other fluid control components for the processing industries have continuously developed new designs and innovated existing designs to deliver better performance for targeted operating conditions. The available basic valve designs, along with their variants, create an immense catalog of potential candidates for each application. One such design variant is the segmented ball valve. It is a quarter turn valve, like its cousin the ball valve, but the trim is different. True to its name, the active closure structure is but a portion of what we know of as a common ball valve. Where the closure mechanism of a ball valve essentially is a solid ball with a hole drilled through it, a segmented ball valve more resembles a section of a sphere or hollowed out ball with a shaped opening in the surface. A primary distinction between the two is that a ball valve contains a passageway through the diameter of the ball that rotates around a central axis. A segmented ball valve functions somewhat more like a gate valve and has no machined pathway through the closure, only a formed surface that restricts a portion of the fluid pathway. The closure in a ball valve can be floating or trunnion mounted. A segmented ball valve will have a trunnion style mounted closure, with rigid support on opposing points of its diameter. Ball valves, with their rotating fluid pathway resembling a short tube, are generally not the best option for flow control, being better suited for isolation applications. The segmented ball valve functions similar to a sliding gate valve, providing an increasing or decreasing shaped opening as the shaft is turned. GE Oil & Gas, under the Becker brand name, utilizes segmented ball valves for natural gas regulation applications. There are other industrial applications where this valve type can deliver superior performance and overcome a number of otherwise challenging conditions. The brochure included below provides more detail on the segmented ball valves targeted for natural gas operations. There are some good illustrations that detail the valve construction. Share your fluid control challenges of all types with valve specialists, leveraging your own process knowledge and experience with their product application expertise to develop an effective solution. 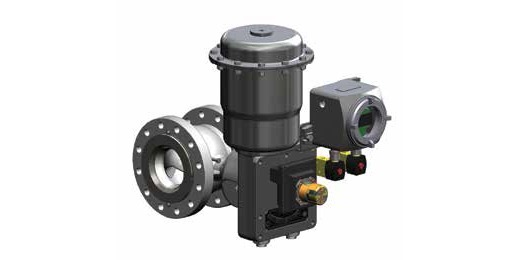 Segmented Ball Control Valve for Natural Gas Operations from Classic Controls, Inc.